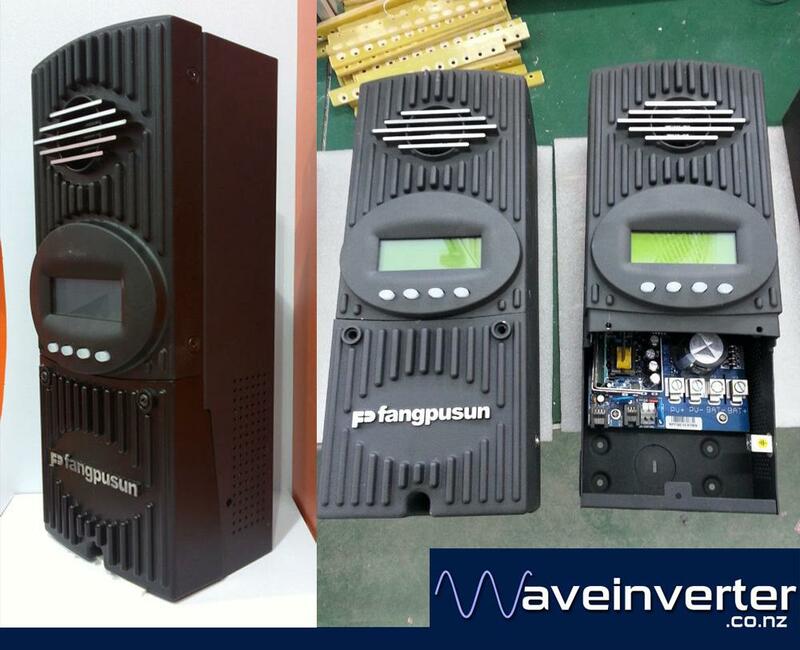 The FM80 from Fangpusun it uses the latest Continuous Maximum Power Point Tracking (MPPT) technology, which seeks out the maximum power available from a solar array. Voltage stepdown converter to be able to convert high PV voltages down to lower battery voltages of 12, 24, 36, 48 and 60 volts. Connect a maximum of: 1200 watts(@12V) 2400 watts(@24V) 4800 watts(@48V) to your batteries. It has a built-in 3.1″ backlit 80 character display shows the current status and logged system performance data for the last 128 days at the touch of a button. The integrated OutBack network communications remote programming and monitored via a MATE system display and provides unrivaled complete system integration. Data logging: Amp Hours, Watt Hours, Time in Float, Peak Watts, Amps, Solar Array Voltage, Max battery Voltage, Min Battery Voltage and Absorb for each day with total accumulated Amp Hours and kW Hours of production.